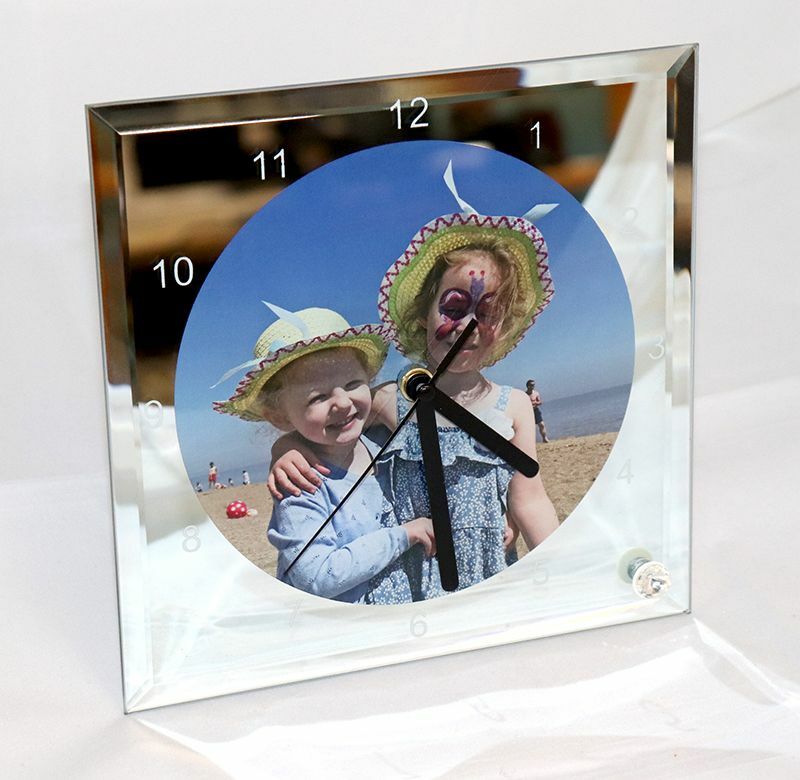 Personalised Glass Photo Clock-Toughened Glass with mechanism. 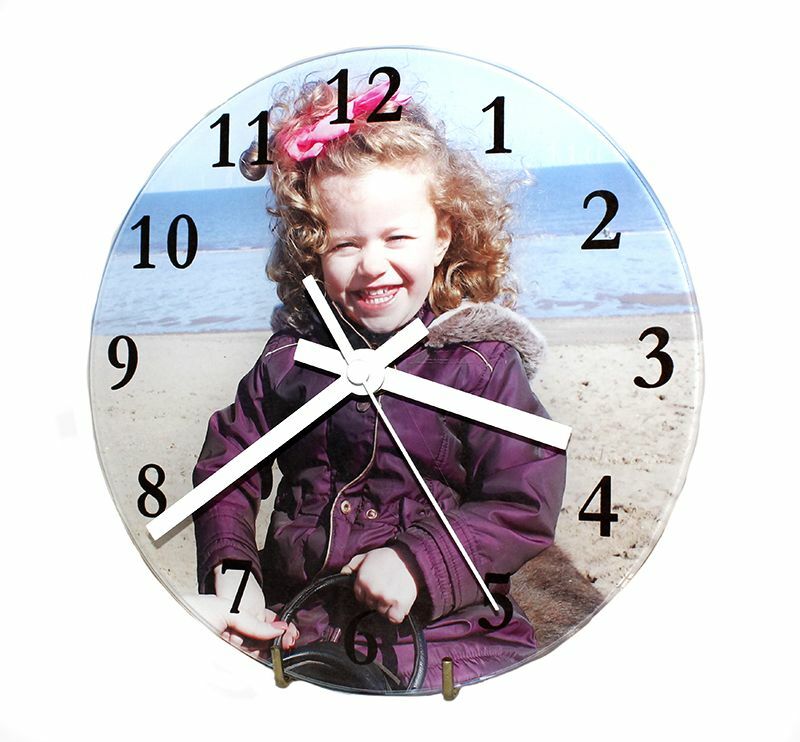 Personalised Glass Photo Clock decorated with your favourite photo complete with mechanism and hanger on reverse. Very popular and value for money product. Diameter 20cm. Toughened glass.